When a Michigan resident dies without having made a Last Will and Testament, the intestacy succession laws found in the Michigan Estates Code will dictate who inherits the probate estate. Below is a summary of the Michigan intestacy succession laws in various situations. Survived by a spouse and at least one descendant of that spouse and at least one descendant from another relationship: In this case, the spouse will inherit the first $150,000 of the probate assets and 1/2 of the balance and the descendants of the deceased person will inherit the remainder, per stirpes. Survived by a spouse and no descendants of that spouse and at least one descendant from another relationship: In this case, the spouse will inherit the first $100,000 of the probate assets and 1/2 of the balance and the descendants of the deceased person will inherit the remainder, per stirpes. Survived by descendants and no spouse: In this case, the deceased person's descendants will inherit 100 percent of the probate estate, per stirpes. Survived by a spouse and parent(s) but no descendants: In this case, the spouse will inherit the first $150,000 of the probate assets and 3/4 of the balance and the parents will inherit equal shares of the deceased person's probate estate if both are living, or the surviving parent will inherit 100 percent. Surviving by a spouse and no descendants or parents: In this case, the spouse will inherit 100 percent of the probate estate. Survived by Parent(s): In this case, the parents will equally inherit the deceased person's probate estate if both are living, or if one of the parents is deceased then the surviving parent will inherit the entire probate estate. Survived by siblings or descendants of siblings and no parents: In this case, the deceased person's siblings and the descendants of deceased siblings (nieces and nephews) will inherit the entire probate estate, per stirpes. 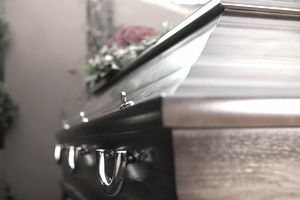 Not survived by any family members: If the deceased person is not survived by any family members, then the entire probate estate will escheat to the State of Michigan. What Will You Inherit From a Michigan Intestate Estate? What will you inherit if your relative dies without leaving a Last Will and Testament and the relative was a Michigan resident or owned real estate located in Michigan? Even if you determine based on the information above that you are entitled to an intestate share of your relative's estate, you may not inherit anything. Why? Because your relative may have left all non-probate property or the debts your relative owed at the time of death may exceed the value of the probate estate which will make the estate insolvent. If you are not sure of your legal rights as an intestate heir in Michigan, then consult with a Michigan probate attorney to be sure. Will You Owe Taxes on Your Michigan Inheritance? Michigan is among the majority U.S. states that do not collect an estate tax or an inheritance tax at the state level. However, your inheritance may be subject to an estate tax at the federal level, and you may also owe income taxes (state and/or federal) on certain types of assets you inherit.